Facebook has all the photos for this stretch of the journey – click here to check them out. After flying from Diani to Nairobi, I collected the Beast from the garage in Karen. Luke Davey had been dropping in every now and again to keep an eye on progress and update me with photos, but seeing it again after three months, I couldn’t believe how good the Beast looked. Not a scratch, not a dent, it had simply been restored to it’s former handsome self. After the crash and whilst waiting at Mikey Diesbecq’s place in Naivasha, I had stripped the Beast down entirely before sending it off for repairs in Nairobi. You know things grow legs here in Africa – so best not take that chance. 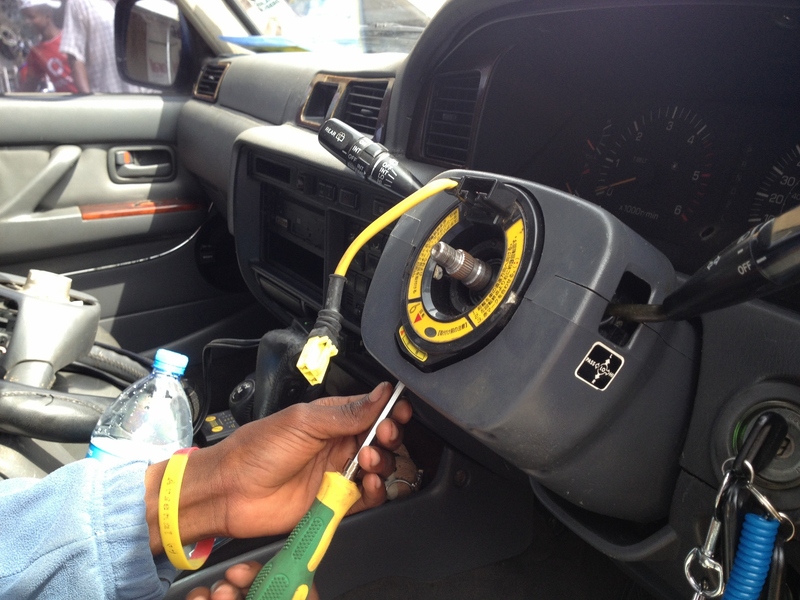 (I later caught the security guys at Toyota Kenya draining my 80l of diesel…) The roof top tent, side awning, every box, every tool, books, cooker, gas stove, spares, recovery gear, clothing, shoes, batteries – every removable item had to come out. We stored everything under a massive plastic sheet in Mikey’s workshop along with his assorted collection of various vehicle and motorbike parts. I was back to reload, restock and say farewell for the final time, to my Naivasha crew. 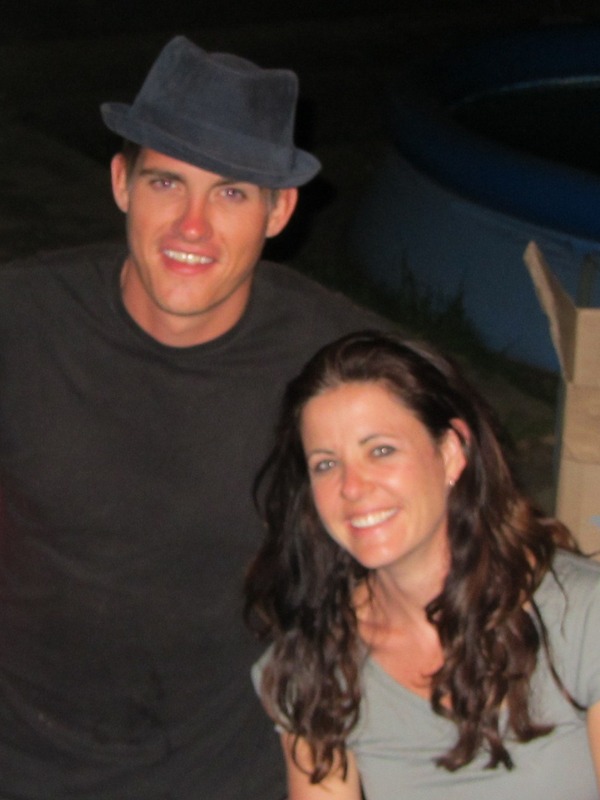 As always, I had a great evening catching up with the Carnelleys at their camp next door. Sadly the visit was short lived and I was chasing a visa deadline. 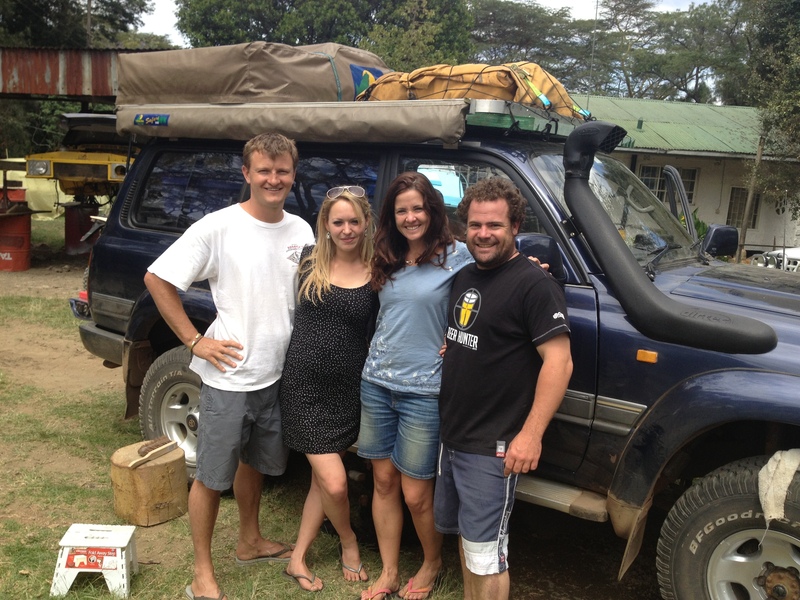 I put my foot to the floor, and after a short stop in Nairobi (thanks Luke and Chloe for the use of your home… again!) turned south for the Tanzanian border of Namanga. Whilst living in Diani, I had met a young Zimbawean in the waves off Tiwi. Lesanne Dunlop, had been photographing lodges around East and Southern Africa and was staying at Kenyaways in Diani at the time. The lovely Monique had befriended her and brought her down to surf with us one afternoon. Lesanne was on her way to Tanzania, and I had kept in contact with her on the off chance our plans would coincide at a later date. We were both going to be in Arusha at the same time and so I offered to come and pick her up, and we’d go through Tanzania together. 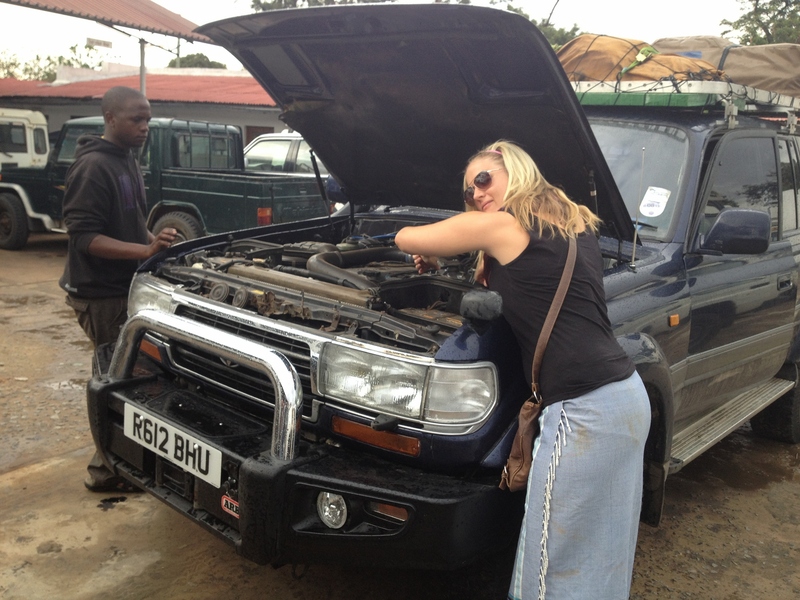 Before I could put pedal to metal and get out of the streets of Arusha, I had a couple of things that needed to be done on the Beast. I had started to notice a tractor-like noise when overtaking or exerting the Beast. I had also lost the use of my hooter on the way down from Nairobi, and I found myself in heightened state of alert at the prospect of dopey beasts of burden or inadvertent humans wandering into the road at any given time. Arusha is a hot and heaving mass of traffic and people. There is very little space for all the modes of transport and hawkers and people and animals that wish to use the same space. Pedestrians, donkeys, cars and boda bodas ebbing and flowing, jostling for an inch more pavement or road. Women with babies slung to their backs selling fruit, men pushing carts, kids and dogs running all over the place. Driving with no hooter is an experience I choose not to repeat. 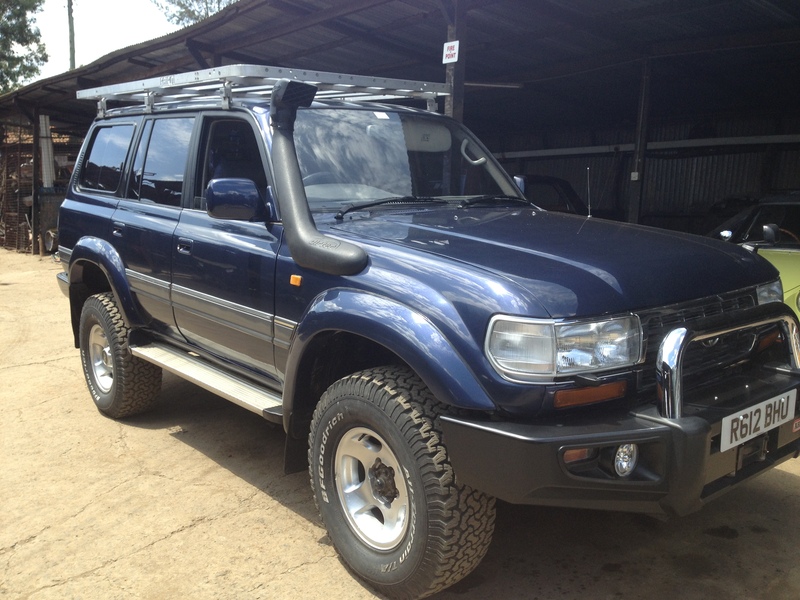 I got the Beast to Toyota in Arusha (and as usual, Toyota were useless and told me the noise was fine). I organised a fixer to ride with me for the day and help me sort out the rest of my affairs. I needed a new hooter, tinting on my drivers window and possibly a new tyre (my front drivers side had a bulge – patched up from the accident no doubt). No one could help me with the tractor noise coming from the engine… Driving back and forth fixing this and that took almost the entire day – thank goodness for fixers! Whilst waiting in Diani, I had been in touch with my good friend Brad Hansen. A Natal boy now living in Arusha, Brad has his own exclusive company – Hansen Safaris – and I had been trying to get some bush time out with him. I missed a few fantastic expedition opportunities the month before as the Beast wasn’t quite ready, and when I did manage to roll into Arusha, Brad was out on a safari of his own. Despite not being there, and typical of what you’d expect from a nice Natal boy, Brad had offered to have me stay at his place whilst I was in Arusha. His flatmate Justin would be at home and here was his number. After days of failed attempts get hold of Justin, I picked Lesanne up from Arusha Backpackers and just turned up at Brad’s house, climbed over the gate and walked into the living room. “Hey Justin! Been trying to get hold of you and did you know we were coming to stay?”. Turns out Brad had given me Justin’s old number and the dear boy had no idea. Lucky for us, JT is a welcoming and awesome host. “Karibu” he said, and opened up his home to his new and unexpected guests. 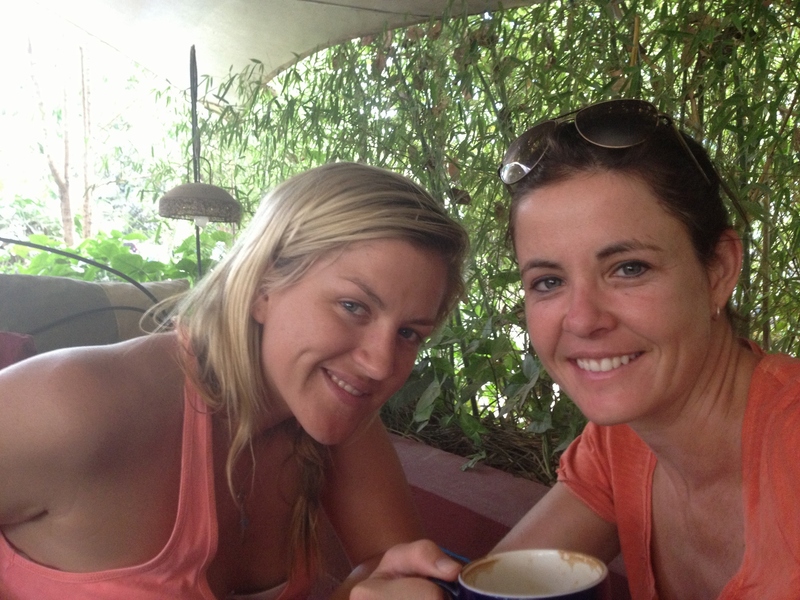 Over the next few days, Lesanne and I set about planning the trip through Tanzania. Through previous discussions with Brad I had learned that Kingsley Holgate was making his way up on the Mozambique coastline, through Tanzania and up to Thompson Falls near the Abadares in Kenya, following in the footsteps of the Scottish explorer Joseph Thomson. This trip was also a personal journey for Kingsley and his son Ross, as they were carrying the ashes of their late wife and mother Gill “Mashozi” Holgate. The journey took Kingsley up to Thomson Falls and down to the Ololoolo Escarpment on the Maasai Mara where they scattered Mashozi’s ashes from the escaprment under the spiritual blessing of the Maasai warriors around them. You can follow Kingsley’s expeditions and see the work his foundation is doing here – Kingsley Holgate Foundation. By the time I had rolled into Arusha, Brad had joined Kingsley on his journey back down towards South Africa and was near Rungwa Game Reserve on the south western side of the country. I was hoping to catch up with them to join the travelling party as they made their way down towards Zambia. Lesanne needed to get to Lakeshore Lodge on Tanganyika to do a photo shoot and we had about four days to get across Tanzania. We both needed to get to just about the same place, but choosing how we were going to get there was the next problem… The safest option was to double back east and drive in completely the wrong direction, past the roads to Tanga and Dar es Salaam, to Morongoro, Iringa, Mbeya and up to Kipili on Lake Tanganyika – this route would see us do a clockwise route of the country from – safer roads, smooth tarmac but it would take the longest time and over 1800km. Another option would be the 1500km drive via Dodoma road towards Malawi and then hang right to Lake Tanganyika – but on closer inspection this was completely out of the question as we’d heard that the roadworks along this section caused the flow of busses, trucks, cars and everything else, to crawl at a tediously sluggish pace over corrugations and through air thick with dust next to the actual road, taking days to complete even short stretches. Errrrr… next? The only option left was to cut south west through the country directly towards Lake Tanganyika on roads less travelled. We tried researching this route but found no information on any overlanders’ blogs or any mention of this trail in any guide books. We had no idea whether the roads were safe, tarred or were even passable in this, the start of the rainy season. A couple of local people in Arusha had told us that they knew the stretch to Singida had been recently tarred but after that, not even the Tanzanians seemed to know what lay beyond. Word from Brad, he Holgate party is in the Rungwa area… WAIT BRAD AND KINGSLEY – I’m on my way! Lesanne had a contact in a small town in the middle of nowhere. Tabora was en route and so we had decided to push on through to stay with Roy, a Zimbabwean tobacco farmer. 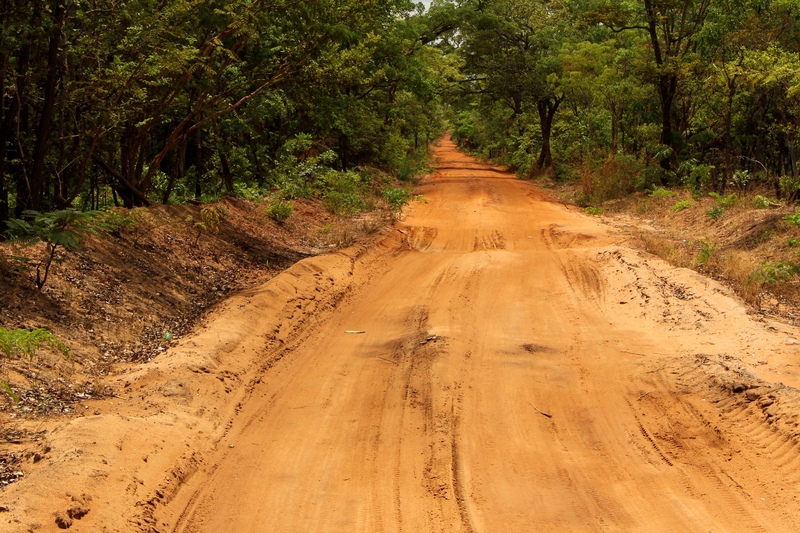 Tabora was almost 400 miles from Arusha… and 400 miles on small Africa roads is not like 400 miles anywhere else on the planet. We set off nice and early with high spirits, and after an initial 50kms of roadworks outside Arusha, we were on good tar all the way to Singida. Now when I mention “roadworks”, I refer to this in the loosest term possible. There could be a perfectly good tar road ready to be driven on but the workers have left rows of rocks across the width every 10m to deprive you of this convenience, forcing you to churn dirt on some made up gravel track along the side of the perfectly good road – avoiding rocks, under low trees, thumping over corrugations and detouring around the odd hut. If you so happen to get stuck behind a slow moving vehicle, you grind on blindly through plumes of dust and diesel fumes. There is no passing lane on this made-up-dirt-track-along-the-perfectly-good-tar-road, so with patience wearing thin and my sense of humour waning there were times when I chose to overtake lumbering vehicles and plough through the bush taking out termite mounds, crashing through ditches and ramping over rocks to get ahead of the pack. The road from Singida to Tabora was patchy gravel for most of the way and the journey took over 10 hours. The Beast was in need of attention After Toyota Arusha telling me the intermittent trumpeting was “usual”, the resounding noise now roaring from the engine made the Beast sound less like a thoroughbred Land Cruiser and more like an old tractor with emphysema. It had become progressively worse over the past day and the noise was unbearable.I had spoken to some of the guys the night before, a few rally car drivers/enthusiasts who had all put in their thoughts, and I was to see the local garage man in the morning. The workshop had the Beast in for a full day and found that the sound was coming from a missing exhaust manifold gasket, which had come loose and fallen away. Their verdict on hearing the Beast had been rebuilt in Nairobi: it hadn’t been screwed on properly. Their solution: put an asbestos replica in it’s place until I find a garage that stocks my part (I changed this in Harare, over 3000kms later – no problem!). Good job by the garage team in Tabora! Slowing us down by a day didn’t help Lesanne but she called ahead to Lakeshore Lodge to let them know we were delayed. We spent the next day catching up with the wives of the farmers, some of whom Lesanne knew from Zimbabwe. It’s times like these you appreciate even a simple lunch of fresh bread, pickled onions, salami, ham, tomatoes and cheese. Thank you Esmé Blair, it was heavenly! We met everyone at the club that evening for a more civilised evening, everyone feeling a little less inclined to follow the previous night’s antics. 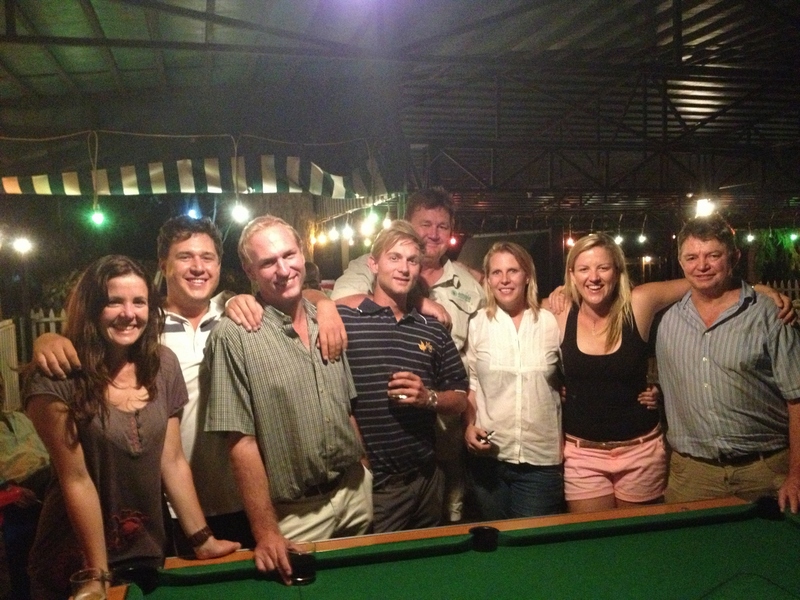 Who would have thought, in the arse end of nowhere Tabora, that we would find this wonderful group of Zimbos? We can’t thank Roy enough for his hospitality and for looking after us. Also, massive thanks to Garth and Jane Pereira for all their help and contacts throughout Tanzania. 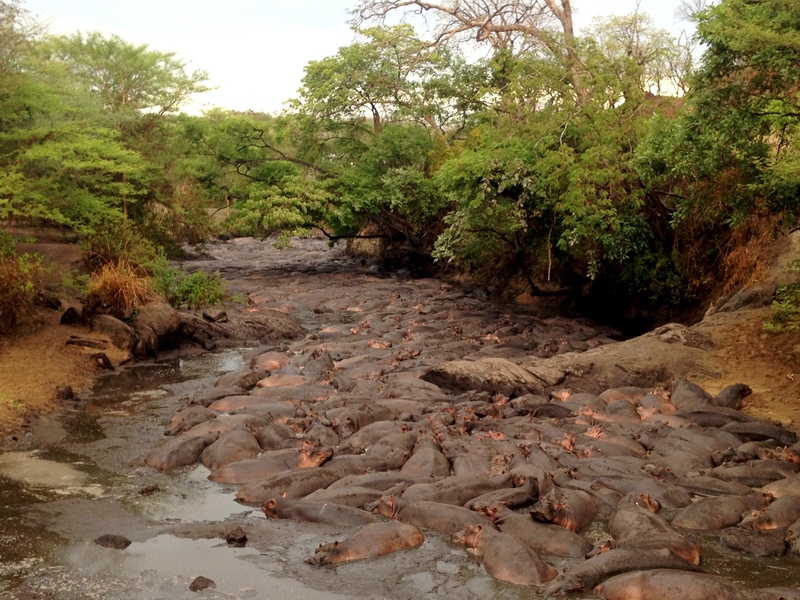 Word from Brad, the Holgate party are near Rukwa Game Reserve… WAIT BRAD AND KINGSLEY – I’m on my way! 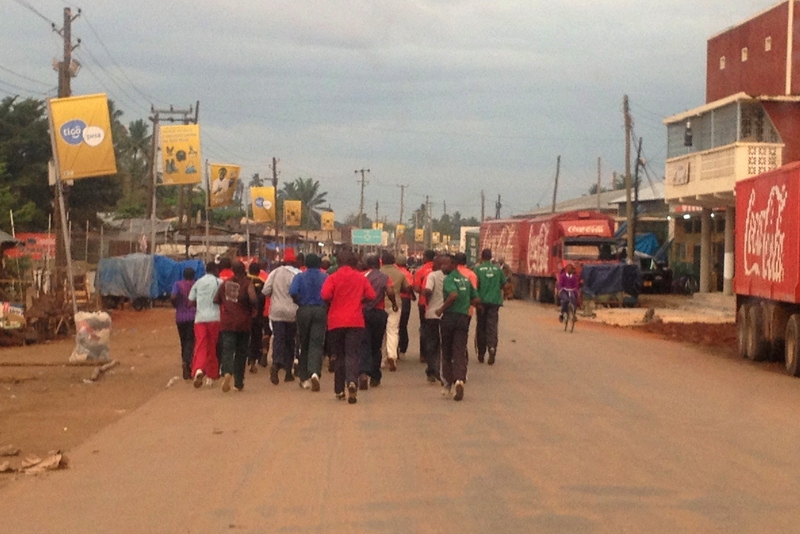 Tabora runners out for an early morning run. Stocked up with a few luxuries from Roy (steaks, tinned mussels, crackers and additional surprises), Lesanne and I set off. Before leaving Tabora, we just so happened to be driving behind a morning marathon training session – what looked like the entire male population of Tabora was out on a pacey morning jog in a peloton pack. On our way out of town, we were stopped by a fat cat in uniform. With his hand in the air – I wanted to drive up and give him a high five, but thought best not. We threw a joke in the mix and forced a laugh, it’s amazing how quickly one can distract a fat cat… he gave us a series of turns this way and that, I put my foot down and thank him with a hand wave as I speed off. The road through the Tanzanian heartland. The road to Mpanda and on to Katavi was the slowest and most arduous journey of my entire trip. We were headed into the real unknown, a place very few people venture. We probably overtook one car that day and passed another four or five trucks coming towards us. The road was poorly maintained and progress was extremely slow, barely breaking 20km/hour at times. We descended into thick woodlands and passed up to six of broken down trucks. Worried about ambushes in such a remote area, we didn’t take any chances, kept our speed up, our distance round the rigs as far as we could and our eyes peeled. The track varied from full on graded dirt road to single lane track, and the ground rose and fell under the Old Man Emu suspension. Dodging fallen trees and weaving my way around pitfalls, constantly having to choose the best line and having to slow down every 30m made for tedious driving. We pass a few small villages on the way and stopped to buy some local food and drink. The kids stared and we waved. Lesanne took photos and they all ran inside. Mostly I think the kids are happy to see us but with so few muzungus ever coming out this way, let alone stopping at their particular village, we must have been something of an anomaly. I’m guessing we must look like two albino humanoids with with long wild hair, our faces covered with black plastic across our eyes, how can we possibly see? Lifting the sunglasses, waving and shouting “jumbo toto” (hello kids) makes all the difference, and suddenly they all want to come out and dance! At another village, we passed a run down hut with the sign “The Hilton Hotel” painted on the wall. I wondered if they might have a concierge service out here? 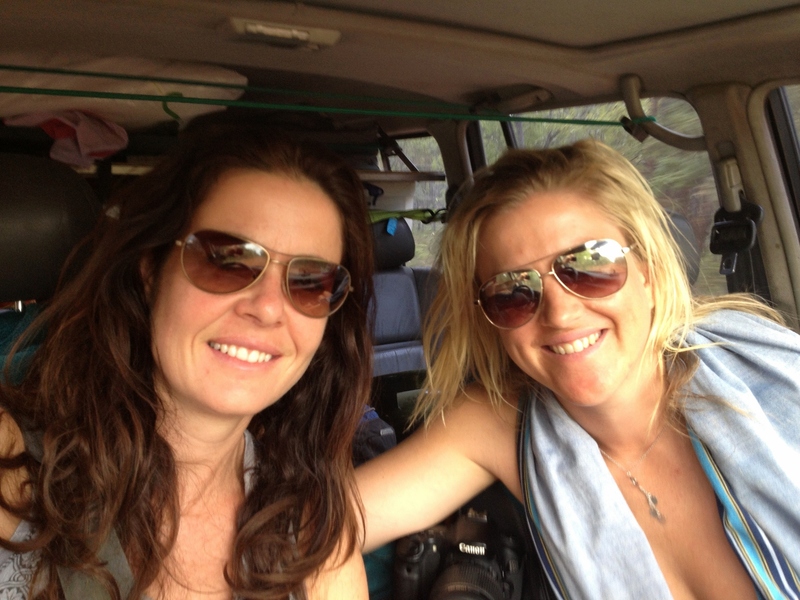 Wild muzungus of the forest – on our way to Tanganyika. It took all day to complete the 275 miles and by the end of the day the sky had darkened so much that it seemed night had came early. It started to pour with rain and we drove into the Katavi National Park Offices only to find that it was extortionately expensive to spend the night in the park. Weary from a heck of a long day’s drive, we just paid the park fees and drove towards the camp site on the river. 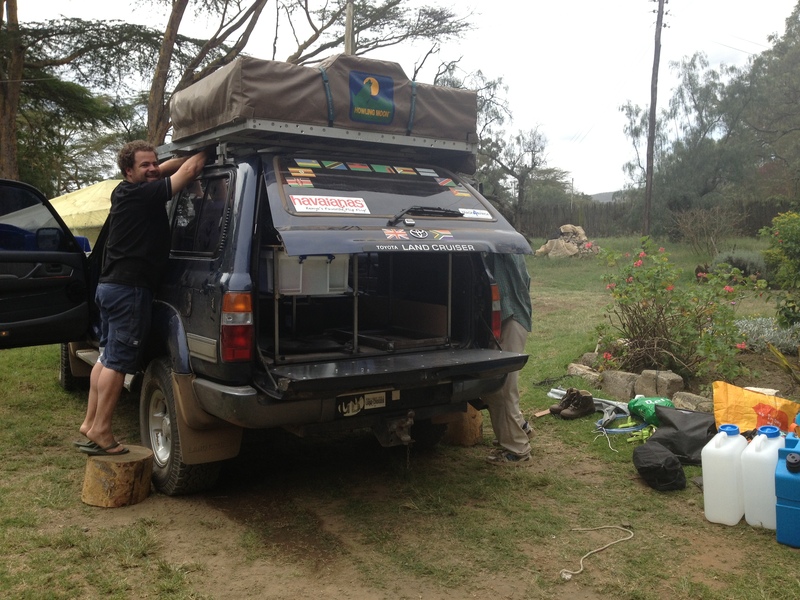 Word from Brad, the Holgate party are near Mbeya… WAIT BRAD AND KINGSLEY – I’m on my way! Bleary-eyed from all the nocturnal riverside commotion (worse than a Saturday night in Clapham) and in need of strong coffee, we took almost two hours to get sorted out before heading off on a short game drive on our way out of the park. From the previous night’s rain, things were strung out to dry and this gave us the opportunity to attend to general overlanding living chores. Today we were headed for Kipili on Lake Tanganyika – with just under 100 miles to go, we were ok to take things at a slower pace. 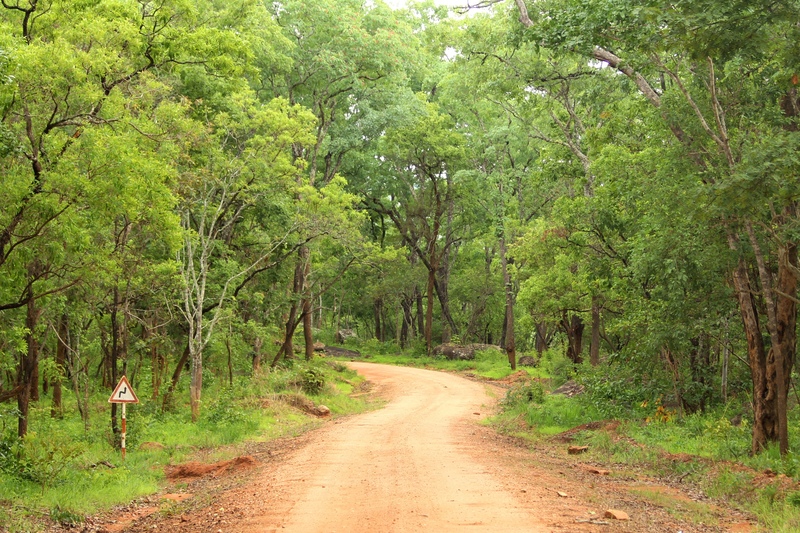 The road out was all dirt track but we journeyed on through heavy woodland with mostly green velvety carpet. Passed some rural villages and stopped for a quick bite to eat on the side of the road. The rains had come, the land was green, the cows were fat and the children were happy! 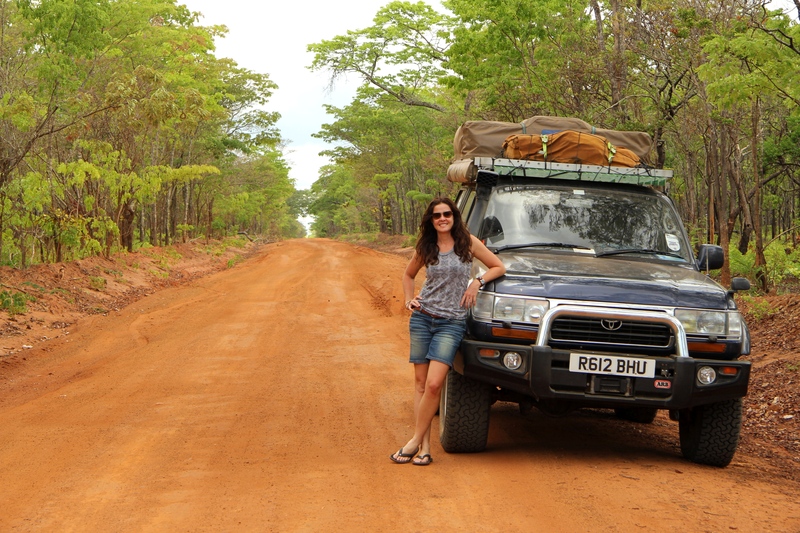 On the last stretch, the road takes you down the most incredible escarpment road down towards Lake Tanganyika. You’re in thick lush forest and with the winds and bends, you can just about see the lake at times. It was on one of these lovely hairpin bends that I felt something wrong with the steering. I could feel a jolt when I turned the steering wheel at a certain point and could hear a faint thunk at the same time. I mentioned it to Lesanne but didn’t want to make a bit deal of it and came down the rest of the way at snail’s pace. On arriving safely at Lakeshore Lodge at the bottom of the escapement, I parked and had a look under the steering wheel to find that all but one bolt and a few washers come away from the steering arm into the engine bay and were lying in my footwell. With a few shakes of the steering wheel, everything came away and I was left with a free spinning steering wheel… thinking about what might have happened winding down the escarpment at speed, and having the bolts give way, just isn’t worth it. Once again, the Beast held out until we were safe before letting go. Sadly, I believe this too was probably the fault of the workshop in Nairobi not getting everything bolted down tightly and with care, and we’re just incredibly lucky it didn’t happen on that escarpment track or on a busy road. Word from Brad, the Holgate party have crossed in Zambia… ahhhhhh man… the King has left the country and all my hopes of me joining my favourite modern day explorer were dashed. Things work out for a reason, and I stayed at on at Lakeshore with Lesanne instead – turned out to be one of the highlights of my trip!